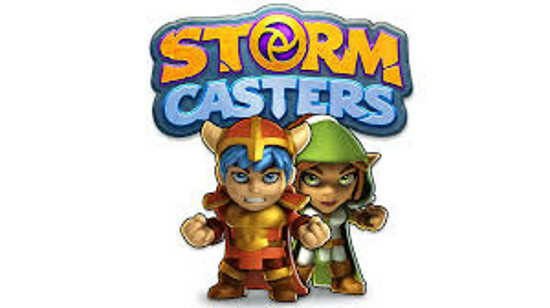 Storm Casters is a new take on the old school dungeon crawler - well maybe not an entirely new take because we have seen speedrun based games before, but new in the sense that it was created as a touch-play title for mobile gaming, and it brings together a lot of top-quality elements so as to present a rather stunning and challenging game play environment. When the game begins you have to decide just who your hero is - and who your hero is will generally depend on whether you are a he gamer or a she gamer? The boy hero is Rufus - go Rufus! The girl hero is Alena - alright Alena! No matter which you pick though the story is basically the same: you family (and other villagers) have been taken by some unknown evil and supernatural enemy, and you have set out to rescue them. Because why? Because that is how you roll why! As you begin your journey you meet a pair of beings who are themselves supernatural, but unlike the bad guys appear to want to help you - and they do that by first equipping you with your own magic, and then guiding you through the dungeons to come. Simple enough, right? Right!